Your pet bird needs a certain type of bird food. 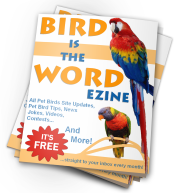 There is no one-type-fits-all when it comes to your bird’s nutrition. 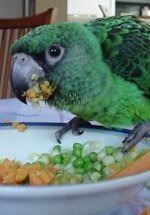 Feeding your bird the right food is absolutely essential to his health (and lifespan!) Feeding your bird seed and water just isn’t going to cut it. And feeding different types of birds the same diet doesn’t work either. It’s important to provide a diet that is safe, healthy, and yummy. Packaged bird food comes in all shapes, sizes, colors, and ingredients. So, it’s important to know what is the best food for your individual bird. When shopping for food, there are a lot of things you need to take into consideration. 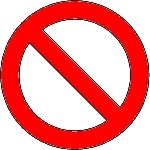 These foods are toxic to ALL birds and should never be fed to them under any circumstance! We know food shopping isn’t easy, so we’ve done the hard work for you and have found the best food on the market at the best prices for each type of bird. We hope we’ve helped you in your quality food hunting endeavor! 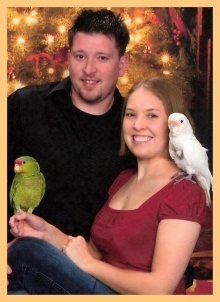 We love pet birds and parrots and can’t wait to help you find your perfect companion!